As the size of the cryptocurrency market grew larger, cryptocurrency exchanges surpassed hundreds of billions’ worth of profit. What we should know here is that the fundamental and primary task of cryptocurrency exchanges is still to provide a platform for secure transactions. BLUEBELT, a multinational cryptocurrency exchange established to protect investors’ assets equally across nationalities and ethnicities, has been drawing much attention since it announced the launch in Korea. Due to fierce competition among local cryptocurrency exchanges, lots of marketing is being done to attract many customers and generate significant profit in a short period of time. However, cryptocurrency market trends can change anytime. The key point to consider is ’How safe is it?’ Thorough security maintenance and continuous trading volume should be the basis. The cryptocurrency exchange will eventually become a decentralized and dividend-paying exchange. Bluebelt is a platform for multinational cryptocurrency exchange in 10 countries like Japan, Hong Kong, the Philippines, Malaysia, Indonesia, Cambodia, Myanmar, and India. It recently announced differentiation when it acquired a license for an exchange in Estonia. This proves that each country complies with the law on cryptocurrency and provide trustworthy cryptocurrency exchange to customers. The traditional cryptocurrency exchange market is still skeptical about issuing utility tokens through ICO. This is because they do not acknowledge it as a stake in a company but take it as a proof of investment. It is also true that many utility tokens have shown limitations, such as violating securities laws in the U.S. and other jurisdictions. Bluebelt not only provides utility tokens for users with transparent, legal management; but also, built a platform to enable the trading of security token, world’s first general trade was impossible. Security tokens are safer investments and demonstrate ownership of company shares. Security tokenization can make existing assets more flexible by linking existing assets with blockchain technology. There are many cases where utility tokens are made to avoid finance regulations using blockchain’s liquidity. However, as the days for stock to be freely transferred like the existing coins are nearby, there is no choice but to draw attention to the security token. This indicates that token services such as ‘stock’ that receive dividends or give ownership of assets in addition to tokens for simple trading will lead the market. Bluebelt is the first in the industry to operate a new concept that provides faster transaction, settlement and better price search between cryptocurrency and fiat currency. This is why some predict that Bluebelt’s token will become a basic measure for liquidity trading that has more market value. “After the utility coin era, the security coin will lead the cryptocurrency market,” said CEO Bang. “Bluebelt Korea plans to dominate the global market through a multinational cryptocurrency exchange platform for security coin.” “There are still a lot of regulations on cryptocurrency, but Bluebelt has been running the Forex business in five countries for more than eight years with 200 people. We own fintech-related IT company so understanding and experience in financial markets and financial systems are plenty,” CEO Bang added. 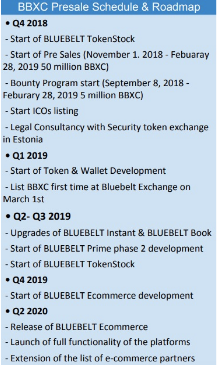 The Bluebelt Exchange is a cryptocurrency exchange officially licensed by Estonia’s FIU (Financial Intelligence Unit, license number FVR000203). It is registered as a cryptocurrency exchange in Australia. 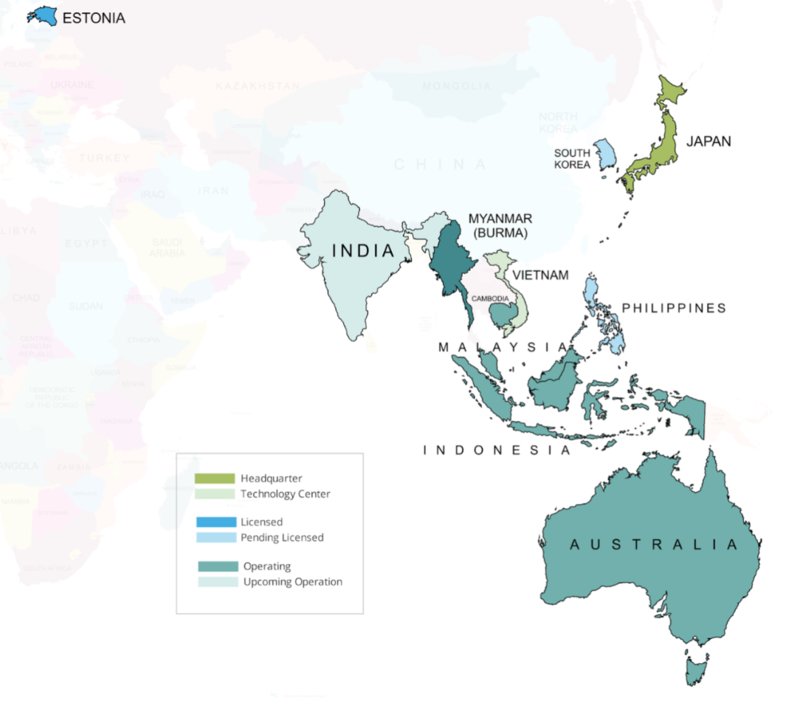 Also, in the process of applying for a license in Japan and the Philippines as well as a license to handle a security token in Cyprus and Estonia. The ‘BlueBelt Instant’ connects a wide range of bank account networks in different countries to reduce the withdrawal process and bank fees, providing borderless cryptocurrency trading between countries. Though a strict ICO standard, customers can trade confidently as local bank accounts in each country are quickly settled and use the industry’s leading multi-verified hot wallet and cold wallet. Due to strong and distributed multinational market trading network, it is possible to trade with more than seven fiat currency (USD, AUD, JPY, IDR, PHP, MMK, and MYR). The BBXC token, which is being prepared by Bluebelt Exchange, purchased liquidity BBXC via fiat currency for exchanges and investors, who are located in insufficient liquidity. Using the account management platform, ‘BLUEBELT Book’, can trade BBXC with worldwide liquidity cryptocurrencies exchange network like BTC, ETH, LTC, other coins and various tokens. BBXC can also be used as a payment method. For example, can be used for a trading fee, exchange listing fee and more. It can also be used as a major exchange medium between multiple exchanges. 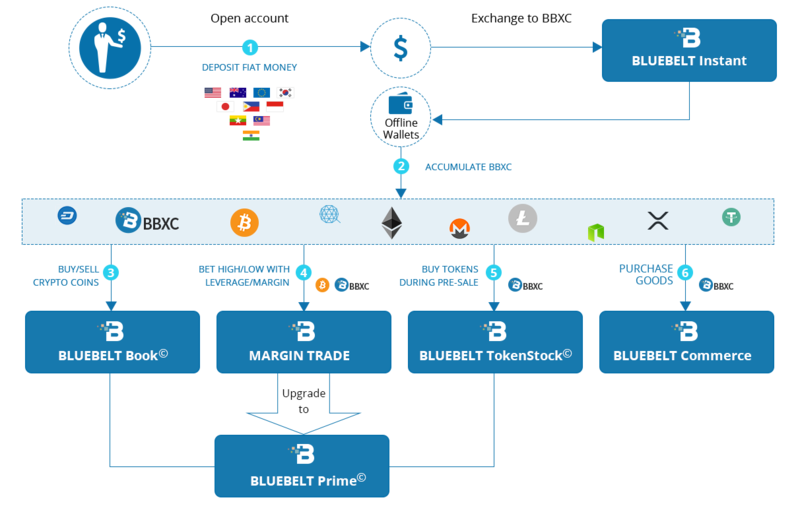 ‘BLUEBELT Prime’, which is a service platform that can be linked to a exchange, is also being developed and various services such as ‘BLUEBELT Token Stock’ and ‘BLUEBELT Commerce’ is in the process of development. The BBXC token will start presale on November 1st and will be listed on the Bluebelt Exchange by March 2019. Bluebelt Korea has prepared two pre-registration events for the Korean market. One event is a simple pre-registration event that can be easily participated with a mobile phone authentication. The prizes are Apple’s newest iPhone Xs (2), Apple AirPod (10), and Zcoin (300). The ICOVO coin airdrop, 100% give out to all participants, will also be carried out. In addition, a participant shares his/her referral code to his/her friends and signs up with the code will earn 0.5 ICOVO per person. The more sign up with referral code will gain more coin airdrop as there is no limitation on the number of people referred. All events can participate at the same time and will be held until November 30th. The winners will be announced on December 19th and will be posted on the official website and SNS channels. Winners will also be notified via pre-registered email. “We plan to provide more benefits to users of Bluebelt exchange through various events,” said a Bluebelt official. For more information about the events can be found on the Bluebelt official website.